This dried Wild Dagga is wildcrafted and harvested sustainably. This is another product that we buy directly from the growers, who still work with this plant for themselves to this day. This unusually aromatic Leonotis leonurus (Lion's Tail) leaf is often preferred by our customers, and gets the most repeat customers; partially because we offer it at such a reduced price. We want to encourage as much sustainable harvesting of this particular Wild Dagga as we can, so offering it near-wholesale allows us to buy more from the growers. 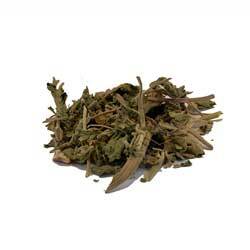 We supply Wild Dagga as a component for creating incense blends, which is one of its traditional uses.